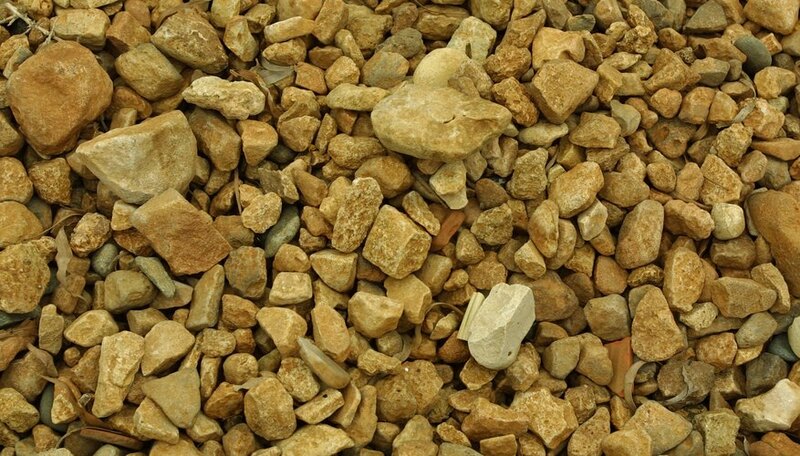 Whether you're covering a walkway or xeriscaping your yard, spreading gravel can be a laborious task. Using the right tool goes a long way toward making the job easier and sparing your back muscles from fatigue. If you're moving the gravel by hand, select the right shovel for the job. A heavy-duty shovel that's your size is a sound investment, useful for a range of applications in addition to moving gravel. A coal shovel is notable for its slightly longer handle and broad blade. While the shovel is not specifically intended for moving gravel, it's well-suited to the task, as its design accommodates heavy loads. Taller individuals may find it particularly useful because of the long handle. If you're up to shoveling larger loads, its broad blade can take large piles of gravel at each go. If you live in a northern climate, it's likely that you'll find no shortage of snow shovels for sale at your local hardware store. The heavy-duty design of the snow shovel makes it well-suited to plowing through ice and lifting heavy heaps of snow. The hefty design also works well for moving gravel. The gardening shovel is notable for its pointed shape, which is designed for digging into the earth. If you're moving a large heap of gravel, the pointed shape may prove useful for thrusting your shovel into the pile. While gardening shovels come in all sizes, their form tends to hold a smaller volume of material than a broad coal or snow shovel. If you cannot hold a very weighty load of gravel, but you value a smaller, more manageable tool, a gardening shovel may serve ideally. Besides the more common shovel types, popular for gardening and clearing snow, several less common forms are usable for moving gravel. The grain shovel is designed for hauling instead of biting into the earth. However, as it's intended for moving soft grains, the form is less robust than some other designs. The spoon shovel, shaped like a giant, oval spoon, is also appropriate for scooping and moving gravel. If your hardware store doesn't organize their shovels by function, you can identify the most appropriate tool for gravel simply by noting the overall shape. A shovel with a pointed nose is primarily intended for digging into sandy earth. A round-nosed shovel is ideal for biting into the earth and digging. Square-mouthed shovels are better suited to moving piles of loose material, such as gravel. In general, a broader shovel is more efficient for moving gravel, as you can haul more material with each stroke.